Whether you enjoy the colder temperature or not, it is no excuse to abandon the importance of curb appeal. The colors have changed, the grass has gone dormant, and the first smell of chimney smoke are a few tell-tale signs that Fall & Winter are knocking on your door. Buyers are easily turned off by that house in the neighborhood that still has the brightly colored bird feeders, and remnants of the perennials that died off weeks ago. Remember, you only get one shot at a first impression. Here are easy a few easy curb appeal tips to consider while working alongside your REALTOR® in preparing to sell your home. Nothing says cozy like a soft chair and blanket on the front porch. Use this time of year to soften up your porch with cozy cushions and pillows added to your seating. Potential buyers will gladly sit with their REALTOR® on an inviting porch and discuss the possibility of making an offer. As Winter comes, our lawns will begin to lose their lush, green look & feel. This is not as bad as you may think. Remember to rake the leaves often, and pick up any trash that has blown in. Edging along the sidewalks and driveways makes the lawn appear neat & tidy. Consider adding some colorful fall & winter potted plants as well. Gold will be your go to color for winter curb appeal. There are many varieties of trees, shrubs and potted plants that will give a beautiful dash of color for the colder months. Golden Lights Azalea – This shrub is one tough & tumble option. It can withstand the harshest of winters while providing a show of color it was named for. A plus, it is also very mildew resistant, and boasts a rich, bronzy red foliage. Cuban Gold Duranta – Another shrub with delicate, golden foliage all year long. A hearty choice for mild to harsh winters, and used often in the southern regions. This low-lying shrub is sure to catch the buyers eye with it’s beautiful golden color. Witch Hazel – This winter-flowering shrub will bloom a beautiful, spidery flower with an almost spice fragrance. The colors range from pale yellow, to orange and strong reds, and even purple varieties. Do not, and I repeat, do not overdo the holiday lighting & décor while listing your home for sale during the holidays. Some holiday lighting may enhance your home, but too many icicle lights and blow up Reindeer will block the buyers view. Not all buyers celebrate the same holidays you do, and you want the buyer who is able to buy your home, not to share your holiday. Consider the fact also that you do not want the potential buyer spending more time admiring your decorations than your home. Keep in mind, lighting is very important during the winter months. When the time changes, REALTORS® find themselves showing property to their buyers in the dark. Especially up in the North, in cities such as Boston. Keeping a well lit pathway, and illuminating the front entry with lanterns or down lighting, will not only make your home more attractive, but also safer for showings. Lighting deals with safety in showing homes, which makes this one of the most important of my 4 Easy Winter Curb Appeal Tips. 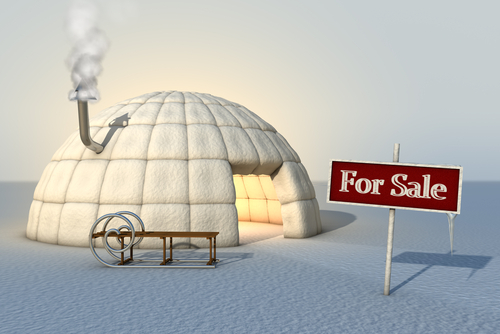 REALTOR®s hear over & over again, homes do not sell in the winter. That is just not true. Homes sell when buyers want to buy them. 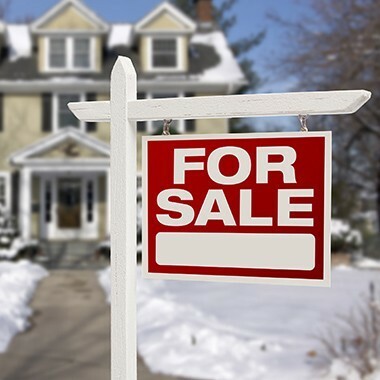 Pricing your home “right” is still the largest factor in getting your home sold but do not slack off on your curb appeal due to the chilly season. Use a professional REALTOR® and the odds of receiving an offer are in your favor. Remember, you want to get buyers to want to view your home, and it starts with the front view.